Are Your Forklift Forks Safe? 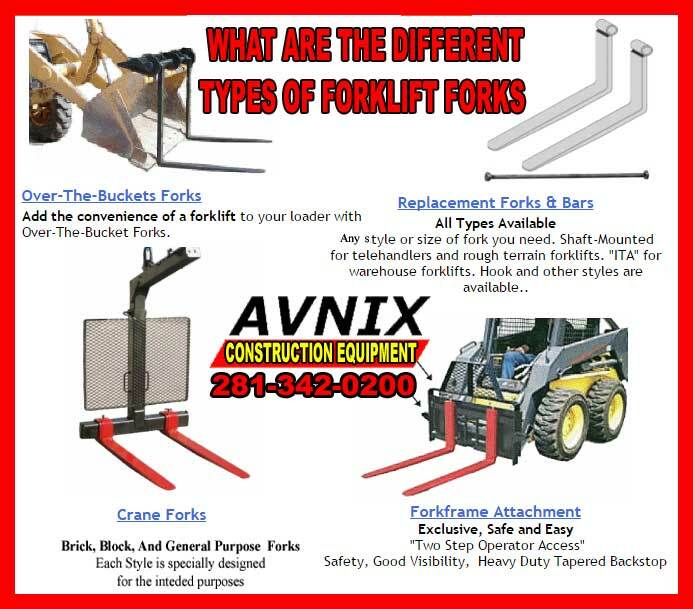 Home » Are Your Forklift Forks Safe? If Not Learn How To Make Them Safe! ← Shopping For A Self Dump Hopper For Forklifts? – What To Look For! Are Your Forklift Forks Safe? If Not Learn How To Make Them Safe! Step 1 Set Calipers Set the front teeth of the jaws by measuring the thickness of the shank. Make certain that the caliper is held square across the shank for an precise reading. A. Position the jaws of the caliper over the flanks of the fork arm blade. If inside teeth of caliper hit fork, it has less than 10% wear and can remain in service. B. Replace If Necessary If the caliper does pass over freely, the fork arm must be taken out of service. This represents 10% wear and 20% reduction in capacity. C. Move the calipers towards the upright. Ensure that the caliper arms are both parallel to the blade and to the upright. D. Open/close the calipers so that the two similar extruding pieces on the vertical leg of the calipers both touch the upright/shank of the fork. E. When you are sure that all 4 points are simultaneously in contact with the fork, gently remove the calipers and look a t the indicator line found at the top of the hinge pin. Note: If the line on the horizontal leg (that points vertically) is found to lie beyond either the 93º or 87º indicator line, the fork should be marked to be checked for either permanent deformation, possible stress cracks or any other defect that could impede the safe use of the fork. Note: Some forks are manufactured purposely to angles greater or less than 90º. A. Open the calipers to approximately 90º and place the calipers in the top inside heel area of the fork (on top of the blade). B. Ensure that the 2 lower pieces on the horizontal leg are both touching the top of the blade. Step 5 Measuring the Bore on Shaft/Pin Type Forks Insert the reversed caliper inside the eye of the tube (see Diagram C) opening the teeth until both sides of the teeth come in contact with the inside wall of the tube. 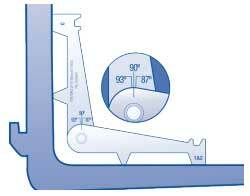 Pull the caliper out and measure the distance from tip to tip (see Diagram D). 1. For Inspection once every 12 months or at any time permanent damage is noticed. Rigorous usage applications necessitate regular inspections. 2. Fork assessment records to be kept & updated. Surface Cracks – If found take forks out from service. The collar on shaft-mounted forks must be carefully inspected for cracks or deformation. If Straightness of fork blade or shank is found in excess of 0.5% of blade length or shank height take fork out of service. If Fork angle from upper face of blade to load face of shank is in excess 93 degrees or more than 3 degrees of original requirement take out of service. 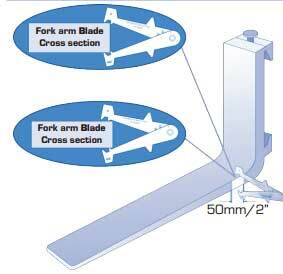 If blade fork tips are more than 3% blade length difference in relative height take out of service. If damage or extreme wear is found in hooks or in collars on shaft-mounted forks take out of service. Capacity and other instructions on side of forks must be able to be seen. 5. Only the fork manufacturer or somebody of equivalent skill may determine if a fork can be repaired. Surface cracks and wear are not repairable. Forks that can not be repaired must be cut in half at the heel region. 6. If forks are straightened they must be heat treated and load tested in accordance with the ANSI/ITSDF standard.